Refinancing of a current FHA insured loan into another FHA insured loan is called an FHA Streamline Refinance. The mortgage to be refinanced must be current (not delinquent). Not all FHA to FHA refinances are streamline in nature. Even though FHA loans come with no pre-payment penalty, you need to wait for 211 days from your last FHA loan before which you are eligible for a new FHA streamline refinance. One of the biggest benefits of an FHA Streamline Refinance is that no appraisals are required. Your Loan-to-Value Ratio (LTV) is calculated based on the last appraised value when you got the current loan. However, no cash-outs are allowed. In some cases appraisal may be required. What if I dont meet the Payment Benefit Requirement? How much refund do I get on my UFMIP? 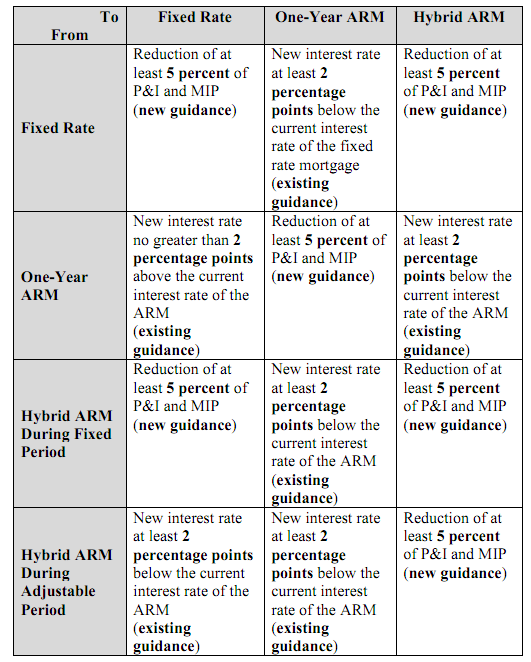 What is the MIP rate on an FHA Streamline Refinance? The MIP (Mortgage Insurance Premium) on an FHA Streamline (and even a regular FHA loan) are of 2 types – Up front Mortgage Insurance Premium (UFMIP) and the Annual Mortgage Insurance Premium. The current UFMIP is 1.75% for all loans. However, the Annual Mortgage Insurance Premium numbers vary based on the loan terms, loan amount and LTV. The table below details all possible scenarios. Note – If your current FHA Loan was endorsed before May 31, 2009, you may be eligible for reduced UFMIP of 0.01% and an annual mortgage insurance premium of 0.55%. If you are not sure if your current loan was endorsed before that date, contact us and we can find that for you. How Can I get a Mortgage Rate Quote for FHA Streamline Refinance? FHA Streamline Refinance typically has the same rates as other FHA programs. The best way to get a live and most current rate quote is by completing this Rate Quote Request Form. Typical closing costs may include Lender origination fees (Points) and Escrow/Title related expenses and can add up to 3%-5% of your loan amount depending on the lender and the loan amount. At Arcus Lending, we do offer a no point and no closing cost option. Start here with completing a form in less than 60 seconds (No SSN required). You will also be required to set-up a new impound/escrow account and will have to come up with reserves money for your Property Taxes and Home Insurance. However, your current lender will refund you the escrow reserves balance after the new refinance is closed. 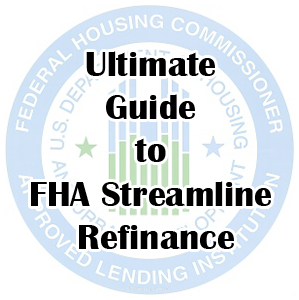 How can I get started with an FHA Streamline Refinance? You can start by completing the loan application on our secured site – Apply Online now!